HIP HOP EDUCATION 4 YOUTH – To empower youth ability to learn, increased Social Skills and to create curriculums to incorporate Hip Hop History, Foundation and its grassroots. Featured Post by Hip Hop Education 4 YouthTagged 5elementofhiphop, 5elementofhiphopculture, BGirl, Harrisburg, Harrisburg City Breakers, harrisburghiphopchild, Hip, hip hip 717, Hip Hop, Hip Hop Activist, Hip Hop Against Violence School Tour, hip hop culture, Hip Hop Education, Hip Hop Harrisburg, hip hop history, hip hop youth, hiphop, hiphop101, hiphop4youth, hiphopagainstguns, hiphopagainstviolence, hiphopartist, hiphopchild, hiphopculture, Hiphopdance, hiphoped, HipHopEducation, hiphopelement, hiphophistory, historyofhiphop, Hop, michele hairston hip hop educator, michelehairstonhiphopeducator. Posted on August 29, 2018 September 10, 2018 by Hip Hop Education 4 YouthTagged Art, entertainment, gangsta era, Hip Hop, hip hop 101, hip hop 80s, hip hop 90s, Hip Hop Artist, hip hop culture, hip hop debate, Hip Hop Education, hip hop historian, hip hop history, hip hop history month, Hip Hop Magazine, hip hop media, hip hop movement, Hip Hop Music, hip hop revolution, hip hopology, media, Michele Hairston, Queen Michele, school. Posted on June 19, 2018 June 19, 2018 by Hip Hop Education 4 YouthTagged graffiti, Graffiti Art, Graffiti Writing, graffitiart, hieroglyphicsgraffitiart, James tops, Ralph Mcdaniels. Posted on May 21, 2018 May 21, 2018 by Hip Hop Education 4 YouthTagged documentary, Domonique Green, domoniquegreen, Hip Hop Education, hip hop history, howard University. In honor of Hip Hop Appreciation week, I will be speaking at the Harrisburg High School on Wednesday May 16, 2018 on Hip Hop History and Economics from 12:30-2:00pm. This event is only for the students!!! 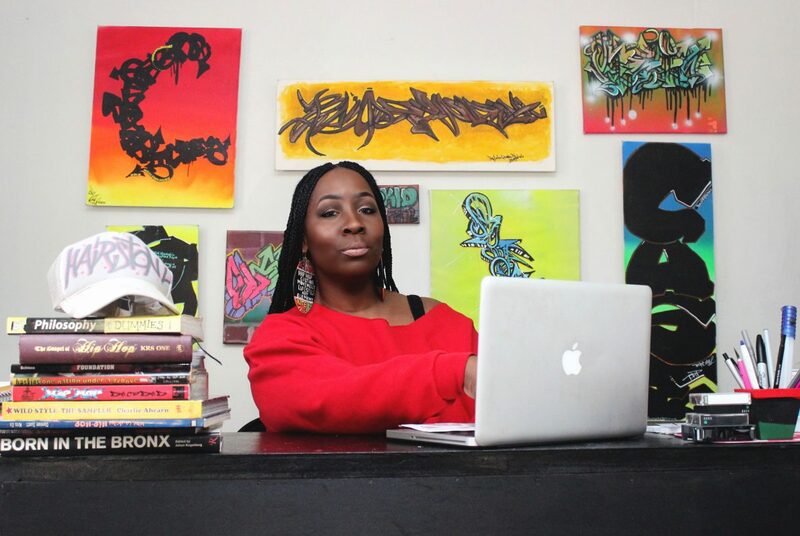 Posted on May 14, 2018 by Hip Hop Education 4 YouthTagged Harrisburg hip hop culture, Hip Hop, hip hop appreciation week, hip hop culture, Hip Hop Education, hip Hop Historian Zulu Queen Michele, hip hop movement, Hip Hop Music, Michele Hairston. A Hip Hop Icon is born today. https://www.youtube.com/watch?v=-R3N2GlWSRg https://www.youtube.com/watch?v=p_W2-jVPORY The Koolest Living Legend in Hip Hop is Born today and we're honoring his legancy and years he contributed in Hip Hop Culture and Music. On November 27, 1956, Fredrick Crute was born. The Harlem Based Icon who is credit being one of the founding Fathers in Hip Hop … Continue reading A Hip Hop Icon is born today. Posted on November 27, 2017 November 27, 2017 by Hip Hop Education 4 YouthTagged dj, dj red alert, entertainment, hip hop culture, hip hop hits, hip hop icon, hip hop legend, kool Dj Red Alert, prop master retro. Twin Sister Princess Amira and Kayla are currently the youngest Female Dj's and the First Set of Twins Duo. Please Watch their videos and share their website. https://www.djamiraandkayla.com https://www.youtube.com/watch?v=Oq9E1ztzFSY I do not own the rights to the Video or Music Our Goal is to perserved Hip Hop Legends and history.